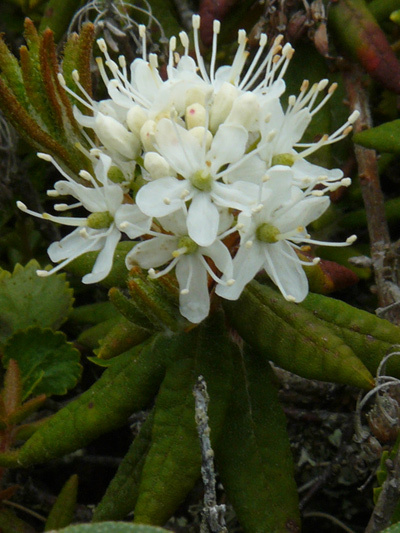 Common Labrador tea is an emblem of the boreal forest. Sometimes called Bog Labrador tea, once had its own genus "Ledon", it is now classified in the genus Rhododendron. Appreciated for millennia has a herbal tea, Common Labrador tea had, and still has, many other uses for humans. Covered with resin, the plant is almost rotproof.